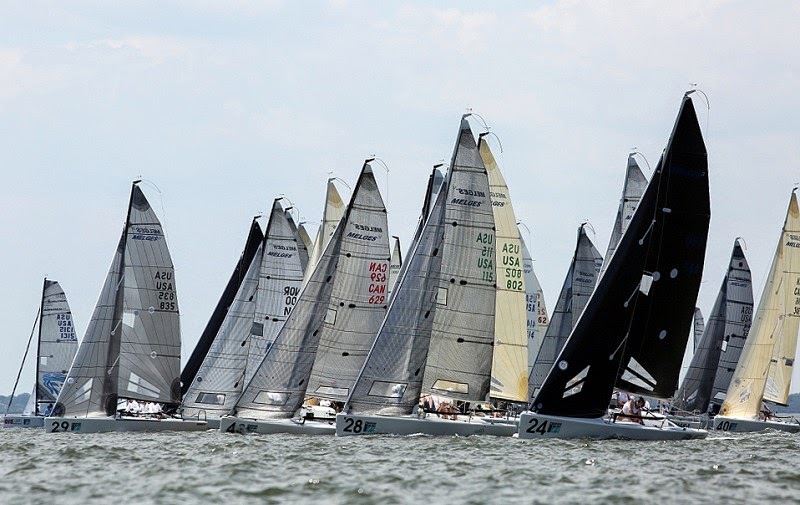 This last weekend we participated in the Charleston Race Week -- this is one of the largest race events on the East Coast and consists of three days of racing in Charleston Harbor with approximately 25 boats in our division. This was a new venue for us and a particularly tricky one given the two main rivers which converge in the harbor which combine with the tidal currents. Immediately prior to the event we had a practice day with Monsoon and the 300 which was very helpful. 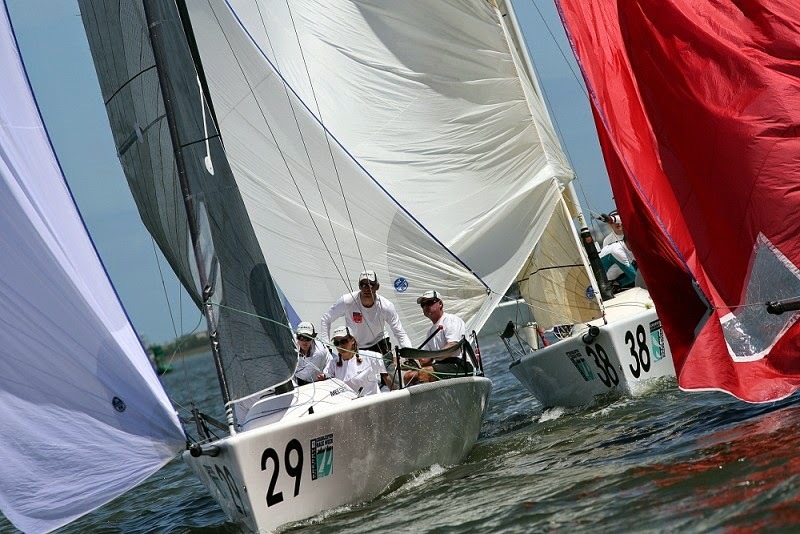 On the first day of racing we had moderate winds (7-10 knots). 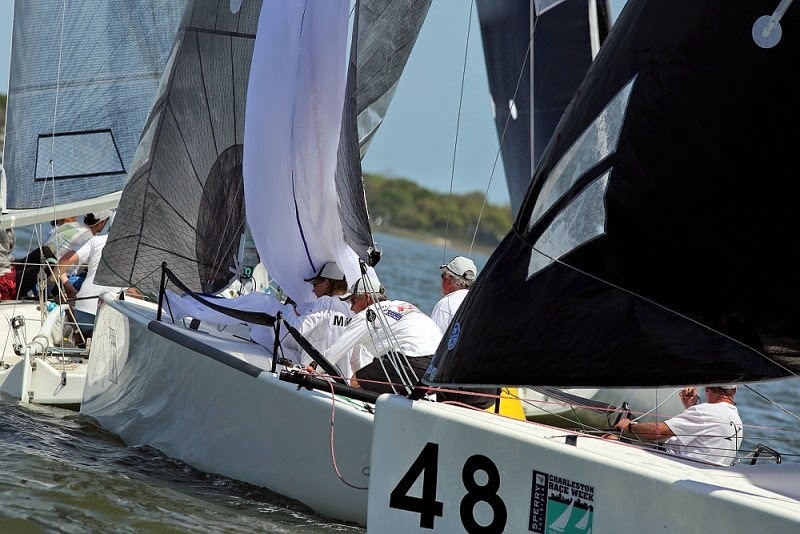 On our first race we had a good start but never got in phase with the wind shifts and ended up mid-pack. As they say you can never win a regatta on the first day but you can most certainly lose it -- our first race would have to be our throw-out. On the second race we were over early and had to restart -- we fought back hard and finished 2nd or 3rd, only to later find out that the race committee didn't think we restarted so they gave us an OCS (ie, last place). Things were going very badly unfortunately. On the next two races we had great starts, had excellent boatspeed and stayed in sync with the wind shifts. We ended up with two bullets which allowed us to end on a good note. On day number two the winds were a little stronger (say 8-12 knots). Again we had excellent starts, our boatspeed was superb, and we went the right way. Two more bullets before the race committee called off the racing for the day. Things were looking a little better. On day number three the winds were much lighter (3-5 knots) and we drifted around until they started racing. The first race was a general recall which resulted in a Z flag - 20% scoring penalty for being over early in the next race. In the second race there was also a general recall and we were forced over by a leeward boat -- 20% penalty on our next score. In the third race we had a great start but were slow upwind in the light air -- we rounded the windward mark mid-pack (not a good sign) but banged the corners on the downwind leg and caught back up. On the next beat we passed a few more boats and ended up with a 4th place on the final race of the series. The net-net is that we finished 4th -- had we not got the original OCS we would have won the regatta! 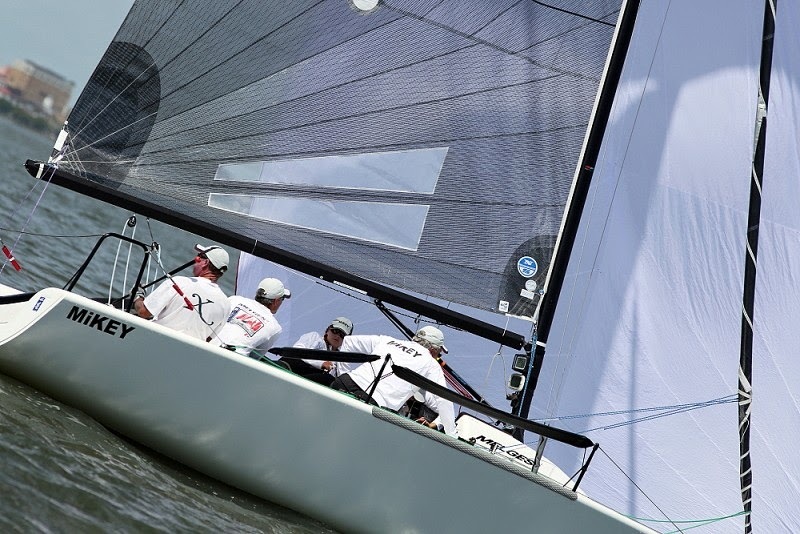 The lesson learned for us is that we need to be very careful to minimize our mistakes, especially to avoid putting a big number on the board early in a regatta. We did however learn a great deal and the boat was going better than ever in all but lights winds!